Madison Concert Ticket Giveaway: Watsky | True Endeavors Presents: music, tours, tickets, mp3 downloads, concert pictures, videos, Madison WI. One of hip hop’s youngest talents returns to Madison this Thursday, and we want you there to check out his phenomenal blink-and-you’ll-miss-it whip-smart lyrical delivery and performance. 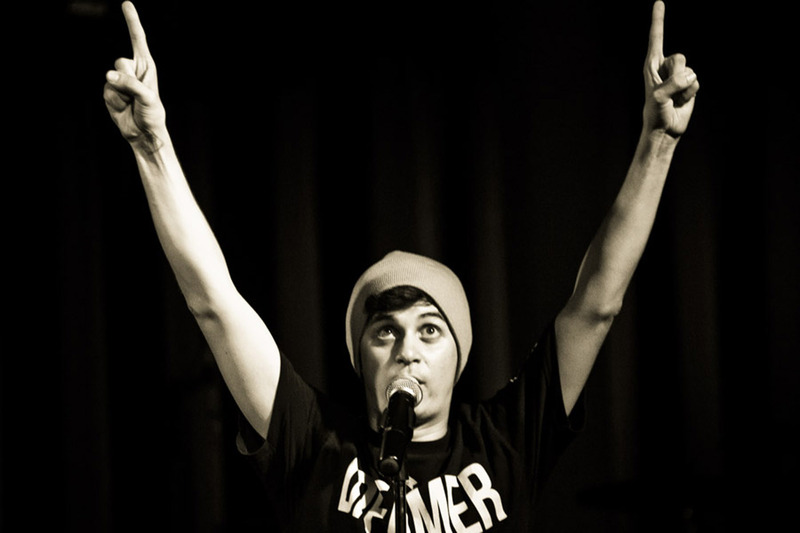 When Watsky was last in town, he packed the High Noon Saloon to the gills, and this time promises to be no different. Get your tickets now, if you haven’t already! Feeling lucky? Maybe you’d prefer to try your hand at winning a pair? Read on to find out how. WIN A PAIR OF TICKETS: With the above song in mind, tell us your favorite story that tells an important lesson. It could be a folk tale, song, book, movie—whatever! Just tell us about it in the comments below for a chance to win tickets to this highly anticipated show. Please have your responses posted by Tuesday, April 9 at 9pm. A winner will be chosen and notified shortly thereafter. Good luck! One of my favorite stories is in the movie “Once.” Not only is it a great movie full of fantastic music, but it has what I would consider to be a deeply profound message. [SPOILER WARNING FOR THOSE THAT HAVEN’T SEEN IT] The fact that the movie doesn’t have a “Hollywood ending” is really what does it for me. The two main characters seem perfect for each other! They are obviously falling in love, they make amazing music together, and darn it all, they just look good together. But they don’t end up together. They both have complicated lives that they aren’t willing or able to throw away for the sake of passion. Instead, they development a beautiful, if fleeting relationship that leaves an indelible mark on each of them, both a tangible one (the CD they record), and an intangible one (their friendship). Just because it isn’t a fairy-tale Disney story doesn’t mean that it isn’t beautiful. That’s a beautiful entry, Austin! You’ve earned a spot +1 on the list. Congratulations, and thanks for sharing!